Market regulator SEBI is finalising new Anti-Money Laundering guidelines covering entities such as brokers and mutual funds to put in place stronger checks against possible cleansing of funds through capital markets. GetitBazaar, India’s largest managed marketplace that recreates the great Indian shopping experience online and where buyers can search, compare, bargain and buy products of their choice from 5,000 sellers across India, believes that the e-commerce market in the country will mature in the next couple of years. Low-cost carrier AirAsia today announced industry leader Ratan Tata as chief adviser to the Board of its Indian venture and promised 'Nano' airfares once it begins operating flights in the country. The Indian economy is in a crisis with growth slowing down, fiscal and current account deficits running high amid persistent inflation, says a study by an economic think tank. In a bid to spur investments, Commerce and Industry Minister Anand Sharma today "strongly favoured" raising the FDI cap in telecom as well as defence sector and said he will meet global investors to address their concerns, particularly in multi-brand retail. I receive queries on how to avail exemptions on profit earned on sale of house property held for more than 36 months. In this article, I intend to cover the subject of availing tax exemption by investing indexed long-term capital gains in specified assets. A little over a year ago, the RBI began cutting rates and then went into a pause as it saw the risk emanating from a high inflation, deteriorating current account deficit (CAD) and political uncertainty, in spite of a slowing economy. While these risks began gradually getting addressed, the RBI in its bid to help kick start growth renewed the rate-cutting cycle in January this year. The guidelines, expected to be ready within a few weeks, will replace SEBI’s existing AML/CFT (Anti Money Laundering and Combating the Financing of Terrorism) standards, which first came into effect about 10 years ago and saw the last major amendments in late 2010, a senior official said. While SEBI is of the view that a strong defence mechanism already exists in the Indian capital market regulatory system against any possible money laundering or terror financing activities, a review has become necessary to consolidate the various initiatives undertaken by it and the government over the years on this front, he added. Besides, certain changes and additional safeguards might be necessary to tackle the new challenges thrown forward by the technological and market advances and to harmonise the guidelines with new standards set by global bodies like FATF (Financial Action Task Force). SEBI may also consult the practices followed by its peers in some other countries to understand the best regulatory framework for AML/CFT regulations. The SEBI guidelines require all market intermediaries, including brokers, MFs, merchant bankers, depositories, depository participants, portfolio managers and investment advisers, to adhere to specified client dealing procedures and maintain records for regulatory or investigative references. The market entities are also required to seek certain specific disclosures from their clients to address the concerns of money laundering and suspicious transactions. Some steps taken to check money laundering activities in the capital market include a strict KYC (Know Your Client) regime, mandatory requirement of PAN (Permanent Account Number) and in-person verification of clients. The existing SEBI guidelines in this regard are mainly based on the PMLA Act of 2002 and the further amendments to it in 2005 and again in 2009. The review will also take into account the new FATF standards on anti-money laundering measures. FATF is the global standard-setter in the fight against money laundering, and the financing of terrorism. Over the past 20 years, FATF has been developing compliance mechanisms to help the countries ensure compliance with its standards and it would begin a new round of global evaluation and monitoring process in 2014. While the data for the latest fiscal is not available, 35 stock brokers had come under SEBI’s scanner in the 2011-12 fiscal for possible lapses in controls related to money laundering and terror financing. Besides, stock exchanges and depositories had taken action against more than 300 market entities for violations and discrepancies related to AML/CFT regulations that year. GetitBazaar, India’s largest managed marketplace that recreates the great Indian shopping experience online and where buyers can search, compare, bargain and buy products of their choice from 5,000 sellers across India, believes that the e-commerce market in the country will mature in the next couple of years. GetitBazaar is aggressively ramping up its national support infrastructure to help merchants fulfil orders from across the country. Kiran Murthi, CEO of getitBazaar.com talks to Girja Shankar Kaura. Q. What is your company’s organic growth strategy in the coming months? A. We are in the process of setting up a national partner network that will drive merchant support and transaction enablement. This should help expand our merchant base faster across the country. We are also investing heavily in promotions and have also sponsored IPL online on YouTube and Indiatimes. We expect these investments to kick in soon and help ramp up our transaction base. Q. Where does getitBazaar stand among its competitors? A. getitBazaar is India’s first managed e-commerce marketplace and is quite unique in its approach of taking all sellers in India online for free and charging a small transaction fee for processing orders. Q. What was the inspiration behind venturing into a business which already has large competitors like Amazon, eBay, Snapdeal, etc.? A. getitBazaar is a natural extension of our getit business model which we have been executing well in the market for more than 25 years now. This is the model that is best suited for us and we have validated this offering very well in the market and are in the process of scaling up. The entry of other players in this space is a welcome development. It will only help improve acceptance of concept and build the popularity of e-commerce marketplaces. Q. E-commerce industry/online marketplace is still at a nascent stage in India. Where do you see the industry heading in the next 2-3 years? A. E-commerce in India is not an easy task and requires good investment in scalable operations and building an ecosystem of partners from allied industries. Over the next couple of years, we believe the market will mature from its earlier days of big spends and large investments to a more sustainable business model that is a win-win for all stakeholders. Q. What are the company’s future targets and plans to venture into new markets? A. We are focused on the India market and it is a large enough task for now. Q. What are your plans of reaching out to regional SMEs? A. We are already national with SMEs from across the country live on getitBazaar. The concept has found acceptance across the country and we are now building a national support infrastructure to help merchants fulfil orders across the country. Q. What exclusive benefit do SMEs have with getitBazaar which is not with other online shopping sites? A. getitBazaar is India’s largest SME marketplace where SMEs from across the country can open their online store and display as many as their products for free to buyers from across India 24x7. With us, the SMEs, including manufacturers, small traders, wholesalers, distributors, retailers, home businesses, importers and large brands can open their own store on getitBazaar and sell their items, including local brands, unbranded goods, local specialties, large brands and other online favourites. Sellers get an opportunity to increase their business manifold by showcasing their products to a larger audience across India leveraging technology. The model allows merchants to display, promote and manage their orders through their offering of best in-class scalable technology, payment and logistics process. getitBazaar allows sellers from across the country to participate in the online market with no additional expense on infrastructure, technology or alliances like payment gateways and logistics. SMEs get an opportunity to increase their business manifold by showcasing their products to a larger Indian audience. There is only a simple transaction processing fee of Rs 100 or 2.5% per transaction and no other charges for the SMEs. Q. Since efficiency of SMEs is thin in making profits, what according to you, would be the challenges faced by getitBazaar in its advancements? A. What we are essentially trying to do is to take e-commerce to the large base of SMEs in India in a easy, simple and fully serviced model with zero upfront investment. There is a huge learning curve or an un-learning curve that we need to pursue to be able to build a business model that works. We have course corrected a couple of times already and the journey has only just begun. Announcing Tata's name as the chief adviser, Malaysia-based AirAsia chief Tony Fernandes also said the name of chairman for AirAsia India board would also be disclosed soon. "Persuading Tata to be adviser has not been easy. Critical, we have someone of his massive experience to help me chart Airasia India with Mittu (Chandilya) and myself," Fernandes announced on micro-blogging site Twitter. Asked whether to expect 'Nano' price or cheapest air tickets from AirAsia India, Fernandes replied in affirmative: "Yes. It's all about low fares. And everyday." Ratan Tata, who retired as head of Tata group in December last year, is considered as the main force behind launch of the world's cheapest car, Nano. "The Indian economy is in a crisis. While the growth rate has been declining...the issue (of high CAD) gets amplified against the backdrop of slowing economy, high fiscal deficit and persistent inflation," National Council of Applied Economic Research (NCAER) said. India's Current Account Deficit rose to a record 6.7 per cent in the quarter ended December of 2012-13. Attributing high CAD to GDP ratio slowdown in exports and increase in imports of oil, coal and gold, NCAER said the high CAD requires high foreign investment. "This might be a risky proposition given the global financial volatility and keeping in view the interests of foreign investors," it said. Before leaving for 10-day visit from tommorow to Helsinki, St Petersburg, Belfast and London, Sharma said he will address all the concerns of foreign retail sector investors and ensure all help in setting up stores. Sharma said his ministry would move the Cabinet for further liberalisation in other sectors as well which hold potential for FDI inflows. "I am strongly in favour of raising the cap in telecom sector. I have discussed this with the Telecom and Finance ministers and once we have the proposal, we will move the Cabinet for raising the cap to 100 per cent, and also for FDI in defence because we want defence manufacturing to be here," he told reporters. He said his ministry wants global majors in defence sector to partner both with the PSUs and the private sector to manufacture weapon systems in India. "Defence technologies have multiple applications, including industrial applications. We want the global majors to partner with the Indian entities...so that the big outgo of foreign exchange could also be brought down and domestic manufacturing improves and jobs are created," he added. On hiking FDI cap in defence sector, he said he has written to the Defence Minister and would meet him on the matter. "He (the Defence Minister) has written back to me suggesting that we will discuss this matter in a meeting," hesaid. A. You would not be entitled to claim any deduction under Section 80C of the Income Tax Act 1961 (The Act) in respect of amount deposited by you in the PPF account of your major son. The major son can claim a deduction in respect of deposit made by him in his own account. Q. Is there a limit on number of gifts and amount of gift to be given to a son and wife or vice-versa if the amount of gift is to be given by an account payee cheque? (a) Is there a reason or occasion necessary to justify the gift? (b) Kindly define a senior citizen for the purpose of income tax. Please clarify whether an assessee qualifies for a senior citizen status if he is born in December 1954. A. (a) There is no limit on the number of gifts and the amount of gift which can be given to a major son. In the case of wife also, there is no limit but income derived from any gifted amount would be included in your income in accordance with the provisions of Section 64 of the Income Tax Act 1961 (The Act). (b) A gift to a major son or wife can be made even if there is no occasion to justify the gift provided the gift is genuine. (c) A person is considered to be a senior citizen if he or she attains the age of 60 years at any time during the previous year. 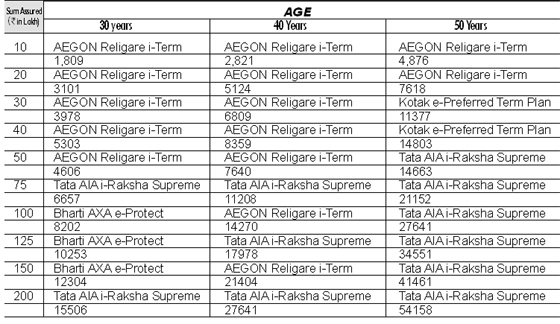 A person born in December 1954 will attain the age of 60 years in December 2014 and therefore, for tax purposes he would be considered a senior citizen for assessment year 2015-16. It is important to note that the exemptions from payment of capital gains tax can only be claimed in respect of capital gains arising on sale of a residential house held for 36 months or more. Among various options available for claiming the exemptions on such capital gains, reinvestment of capital gains in the purchase or construction of another house is frequently availed by taxpayers. You can claim exemption for such indexed long-term capital gains even if you have purchased a new house within one year prior to your date of sale of the old house. You can also avail the exemption from payment of tax on the long-term capital gains if you purchase a house within two years from the sale of the old house. You can also get a new house constructed within a period of three years from the date of sale of old house to get this exemption. If you are booking a residential property under construction, you can do this within a period of three years as the law doesn’t provide that you yourself should get the construction done. In this case, the construction by a builder will also be treated as construction for the purpose of this exemption. It may be noted that it is not necessary for you to actually use the funds received from sale of your house property for the purchase of new house property. What is required is that you purchase a new property for an amount equal to the capital gains. The purchase can also be made with the help of a home loan. This way you actually need to invest only an insignificant part of cost of new house property out of sale proceeds of the old property if you avail housing loan. It may be noted that this exemption can only be claimed in respect of a residential house property and not for the purchase of commercial property. However, one can always use a residential property for commercial purpose. For the purpose of claiming exemption brokerage, stamp duty, registration charges and transfer charges etc. paid by you will also be included in the cost of house property purchased and accordingly eligible for exemption with the original cost for purchase or construction of the new property. In case you intend to claim the exemption by purchase or construction of a house and full investment in purchase or construction of the house is not made by the due date of filing of your return, you have to deposit the unutilised money in a capital gains account with a bank. You can withdraw the money deposited in this account for purchasing or constructing a new house within the original time allowed. In case you are planning to buy an under-construction property (through booking), please ensure that you get the possession of the property within three years as specified above. One important thing to be kept in mind is you should not transfer the new house within a period of three years otherwise the capital gains exemption allowed earlier will be taxed in the year in which you transfer the new house. In addition to the above avenue, there is another option if you don’t want to invest in any house property. You can invest your indexed long-term capital gains in bonds of National Highways Authority of India or Rural Electrification Corporation for a period of minimum three years. This investment has to be done within six months from the date of sale of your house property. You should know that unlike reinvestment in house property where you get extended time for investment, the investment in these bonds has to be made within six months from the date of transfer of your property. This investment has to be made even if you have not received the full sale consideration in respect of your house property sold. However, the maximum investment in such bonds can’t exceed Rs 50 lakh in one financial year. 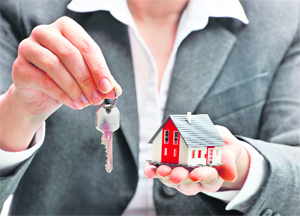 In case amount required to be invested to claim the exemptions is more than Rs 50 lakh, you can choose the date of sale of your house in such a way so that the period of six months fall in two financial years and you are able to invest up to Rs 1 crore in aggregate over two years and claim the tax benefit. Please note that the opinion of income tax tribunals is divided on the point whether a person can claim the tax benefit under Section 54 EC up to Rs 50 lakh in two years each. However, the language of the Section clearly provides the restriction on yearly basis and not on overall basis. You are required to hold these bonds for a minimum period of three years. In case you transfer the bonds within three years from the date of purchase, the capital gains exemption availed during earlier years will be taxed in the year in which you transfer such bonds. It may also be noted that even if you take a loan or advance against security of such bonds it is treated as transfer and you forfeit the exemption availed. So it is advisable not to use such bonds purchased for the security of taking any loans or advance. This way you can use either one or combination of both the avenues available for the purpose of claiming exemptions from payment of tax on sale of a house property held for a minimum period of 36 months. You may also decide to claim exemption partly by investing in the house and/or bonds and partly pay the proportionate income tax to the extent of capital gains which have not been invested as above. So if you plan the period for which you have owned your old house and new house, you can save long-term capital gains tax easily. Alternatively, you can invest the money in specified bonds if you don’t want to commit yourself in real estate. A rate cut helps bring down the general interest rate levels, lower borrowing costs for banks, which can in turn pass on the benefits to borrowers. While WPI has moderated from over 8 per cent last year to a low of 4.9 per cent in April 2013, the consumer price index (CPI) too is showing signs of moderation coming off from over 10 per cent levels to 9.4 per cent for April 2013. Going forward, food inflation is expected to ease further with the winter crop hitting the markets and expectations of a normal monsoon. Declining global commodity and crude oil prices have helped bring down “imported” inflation significantly and currently there are no signs of the commodity cycle upturn. Slowdown in major emerging markets, including the BRIC nations, will keep commodity demand soft. For FY14, the RBI projects inflation to be at an average of 5.5 per cent. While we do see initial signs of growth bottoming out, we are still a few quarters away from a meaningful recovery. 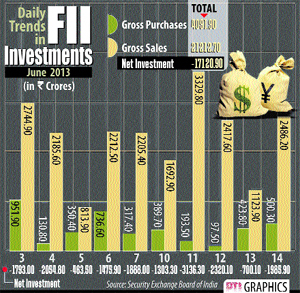 With impetus on investments and some demand recovery, growth could pick up in the second half. In this backdrop, we continue to expect interest rates to decline. However, as we still remain in a period of uncertainty, with evolving macro trends on the global front, the rate cuts are expected to be asymmetrical. They will be driven primarily by three key factors — growth continuing to be below RBI’s expectations, further softening of inflation and evolving trends in the twin deficits. Considering these, the decline in interest rates might not be linear across maturities and asset classes, making it a fairly challenging environment. We share a fair degree of concern on the CAD and its impact on rupee as it can negate the benefits of a soft commodity cycle and influence the portfolio flows. Furthermore, as India has been a beneficiary of the global liquidity, an improving US economy and the US Federal Bank’s reversal of its policy stance could affect our rate outlook. It would be difficult for RBI to follow a rate cut cycle in this backdrop and might need to recalibrate its policies. The market in the near term is expecting a rate cut of 25 basis points in the June policy and potentially a cash reserve ratio (CRR) cut as well given the liquidity in the system is outside the comfort zone of RBI. We feel the RBI would take some action to address that liquidity deficit, more likely by way of open market operations, especially as the advance tax period is a fortnight away. With expectations of further rate cuts and the current macroeconomic environment, duration funds are expected to outperform other fixed income categories. We continue to suggest a mix of short-term and long-term funds over a medium-term investment horizon, with a higher weightage to the short-term funds given the volatility expected in the next few months. In ultra-short term category, we continue to recommend floating-rate funds to our investors. 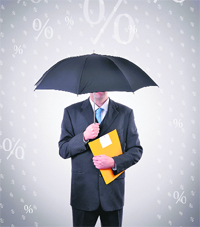 Short Term Income funds look attractive in a time horizon of 6-9 months. "How to use this data: The premiums above are for a 30-year-old healthy non-smoker male for 30 years tenure, for a 40-year-old for 20 years tenure and for a 50-year-old male for 10 years tenure for various sum assured. Note: As per the age, tenure and sum assured the above mentioned plans are the cheapest in that category which can be purchased online only."